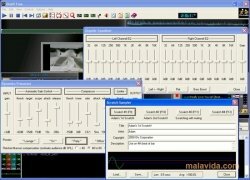 As well as all the software available for the disk jockey world, there are also solutions for those people that as well as deciding to mix the best songs of the moment, decide to use videos during their music sessions. 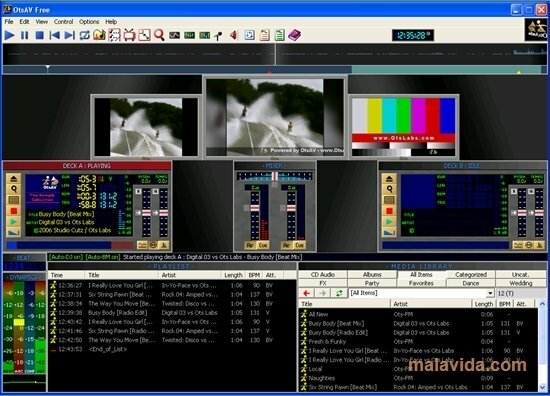 OtsAV has two independent audio/video players with previsualization system, an integrated mixer with prelisten and crossfader, pitch and tempo controls, and a final output signal monitoring mode. 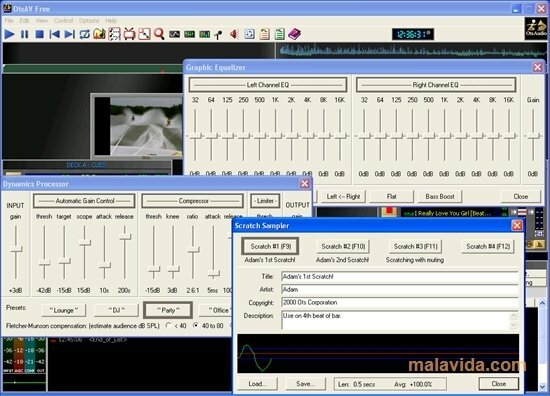 The program also includes a file manager, by means of which it will be very easy to organize all the themes that are going to be used in a session, a karaoke mode (to liven up parties) and an automatic mixing system, so that we can move our of the “booth” without having to worry about the music stopping during our absence. The interface isn't as appealing than that of other DJ applications and can seem somewhat complex if we haven't previously worked with other programs with theses features. If you are a total solution to liven up any party or meeting, maybe you should try OtsAV as soon as possible.